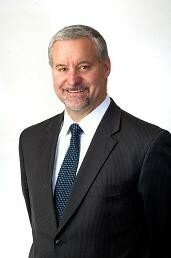 Welcome to the website of Ted J. Soltys, Jr.
Ted J. Soltys, Jr. started his career with AXA Advisors in May 1983. He focuses on the small to medium sized business market, helping his clients with long term care, succession planning, individual estate and retirement planning strategies. Ted is a top associate with AXA Advisors, consistently achieving the company’s Centurion level or above and, in 1997, he was inducted into its Hall of Fame. Ted received the company’s Hallmark I award in 2000, Hallmark II award in 2006 and the Hallmark III award in 2013 which recognizes lifetime production. Ted achieved AXA Advisors Distinguished Service Award in 2007, an honor showing his constant commitment to his clients and a high level of service. Ted is a member of the elite Sterling Group, a division of AXA Advisors, LLC, and a member of NAIFA (National Association of Insurance and Financial Advisors). Ted holds FINRA Series 6, 7, 63, 65 registrations and is licensed to sell insurance in AZ, CA, CO, FL, IA, IL, IN, MI, NY, OH, TX & UT. Ted is one of the Financial Professionals selected to participate in the highly successful BluePrints® For Tomorrow program. BluePrints® For Tomorrow is a program that helps business owners work “on” their business, not just “in” it. A few of the blueprints offered in this program are: key employee retention, legacy planning, and wealth accumulation and asset protection. BluePrints® for Tomorrow program is a series of blueprints that help you deal with the '"what-ifs" you face. Ted enjoys spending time with his wife Kristin and their children. He is an active volunteer with PADS, and has been involved in youth soccer and competitive swimming for many years. He has been a member of four national record setting relays and still competes in Masters Swimming, specializing in butterfly and freestyle events.